March 1986. 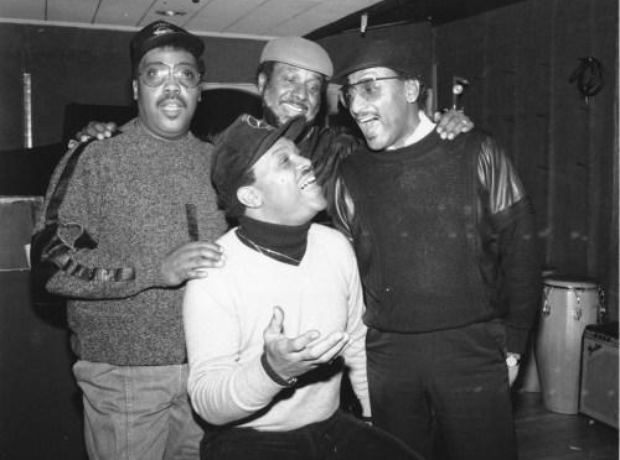 The Four Tops are shown during a recording session in New York. Standing from left to right are, Lawrence Payton, Levi Stubbs, Abdul "Duke" Fakir, and seated is Renaldo "Obie" Benson.